Gently remind a friend of God’s faithfulness and compassion. Great faithfulness is from Thy Faithfulness Collection. 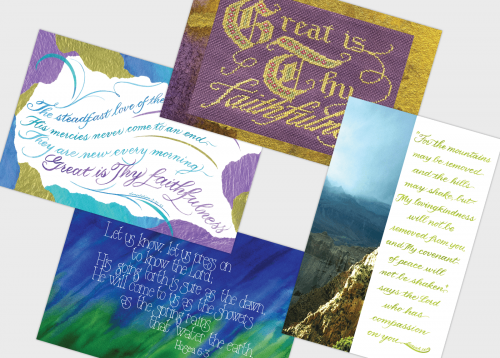 Great faithfulness cross-stitch is from Thy Faithfulness Collection. Grand compassion is from Thy Faithfulness Collection. Spring rains is from Thy Faithfulness Collection.